The Scheduling Solution your DMS vendor forgot to include! Connecting customers with cars has never been easier. 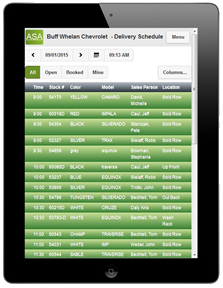 Our software helps keep your dealership organized by making your Delivery Schedule and data easy to access. It's stunningly simple to schedule Accessory Installations, Finance Appointments, Lease Returns, Used Car Reconditioning and more. 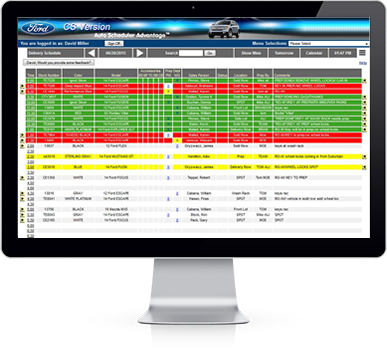 The Total Body Shop savvy schedule module helps you set, view and track target dates/times for all operations, assigned technicians and much more. Scheduling errors cost time, money and satisfaction. Sales, Service Advisors, Technicians and Detailing communicate via desktop and mobile devices, keeping everyone in sync, moving together as one team - without white boards, phone calls, yelling or headaches - resulting in timely deliveries and happy repeat customers. 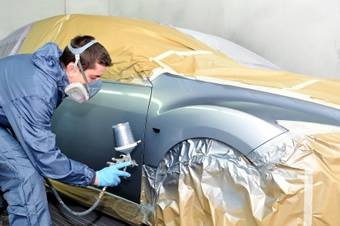 We serve many car dealerships in North America. Checkout their feedback and comments.